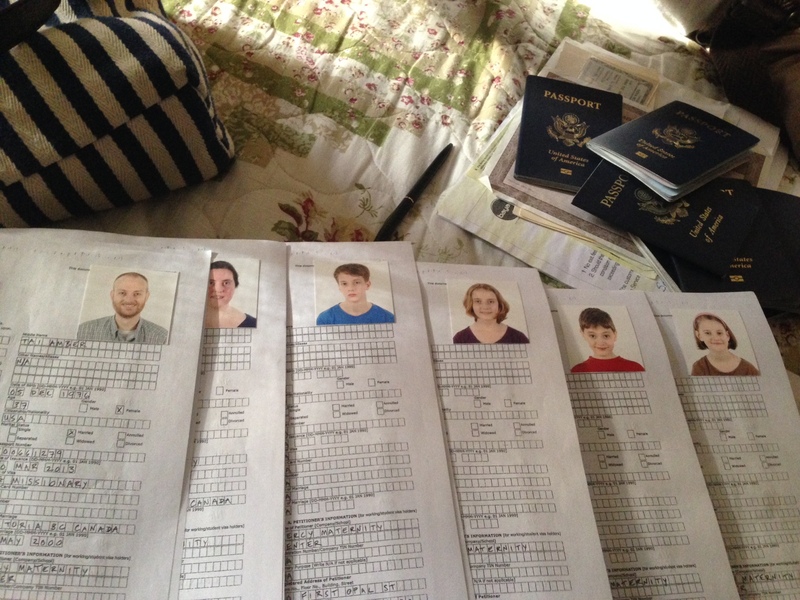 One of the less pleasant realities of living overseas is dealing with the bureaucracy and paperwork for immigration. Before we moved to the Philippines, in preparation for applying for our missionary visas, we needed to have all of our birth certificates and our marriage certificate “authenticated,” first by the local civil authority where each document was issued and then by the Philippine consulate with jurisdiction over the area where each document was issued. For our family that meant spending several months gathering paperwork from two states, two Canadian provinces, the District of Columbia, and four different Philippine consulates. Then when we arrived in the Philippines, a few more months were spent gathering and notarizing the additional paperwork (in triplicate) needed to apply for our “9g” missionary visas and then waiting for the visas to be approved. While waiting, we needed to pay a fairly hefty fee to renew our visitor visas every two months. Everything went smoothly, if not as quickly as we might have hoped, and our 9g visas were approved last May 3 and stamped in our passports in June. Then things began to go wrong, though we remained in blissful ignorance of the fact for many months. Our application for alien certifiate of registration ID cards (or ACR I-cards) was sent from the Davao immigration office to the central office in Manila. We were told the cards would probably take about two months to be processed and arrive back in Davao. We waited… and waited… but each time we checked with the Davao immigration office, we were told the cards were still in process in Manila and that this delay was not unusual. Then in December, Matt went back to Ohio for his ordination and Father Manto’s consecration as a Bishop. Leaving the country would have been a fairly straightforward matter if he had been in possession of an I-card at the time, but because his I-card had not yet been issued, when Matt returned to the Philippines after his short trip back to the US his 9g missionary visa was “downgraded” back to a 9a visitor visa. Many of you have prayed faithfully for a solution to our paperwork woes over the last many months, for which we are very thankful. On Monday (yesterday), we had given up hope and resigned ourselves to the idea that we would have to start over from the beginning again… Then — wonder of wonders, miracle of miracles! — our agent in Manila texted incredible news. Our I-cards had been issued. Matt’s passport was being stamped with the correct stamp, and would be sent to us in Davao by courier that very afternoon. This was amazing and unexpected news. But we’re not quite out of the woods yet. Our visas expire on May 3 — Saturday — and Thursday and Friday are holidays during which the Bureau of Immigration will be closed. The courier package with Matt’s passport in it just arrived this afternoon (Tuesday), and we plan to take all our renewal paperwork in tomorrow (Wednesday). Please pray that our renewal goes smoothly, with no lost documents, and that we’re granted the 2-year visas that we’re requesting. Also, Matt needs to travel again in June to go to the Reformed Episcopal Church’s General Council which is held once every three years. There is no chance that our new visas, much less our new I-cards, will be issued before he leaves, so he is applying for a “grace period waiver” to allow him to leave the country without an I-card. The waiver application must be submitted after our visa renewal application is received by the Bureau of Immigration but before our I-cards expire, so everything really needs to go smoothly tomorrow — the last day that the immigration office will be open before our visas expire. Please pray that the “grace period waiver” is granted in a timely fashion and that we have no further problems because of his travel! Thank you so much for your faithful prayer support. Hi Matt and Sora, thank you so much for writing this blog. It means a lot to me during this time. I would like to keep in touch and ask some questions. Please send me an email and looking forward to hear from you.